Fountains are the perfect finishing touch to just about any backyard. They are beautiful to look at and they create a relaxing ambiance. Check out some of the best backyard fountains below. A tiered fountain is a classic look. You can get this type of fountain with varying numbers of tiers depending on how tall or large you want your fountain. In a tiered fountain, the water flows down from the top of the fountain, trickling down the sides of each tier, and into a basin at the bottom of the fountain. A tiered fountain can really be a focal point of a garden. See more tiered fountains here. 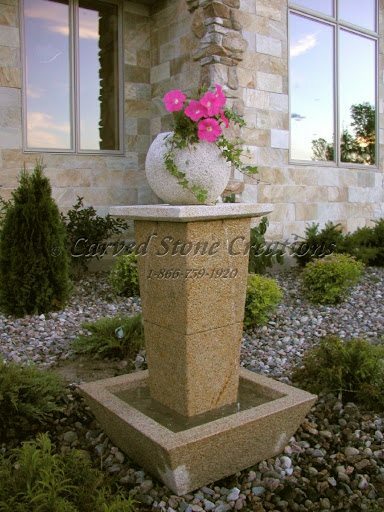 Urn fountains are a nice alternative to a tiered fountain if you are short on space. 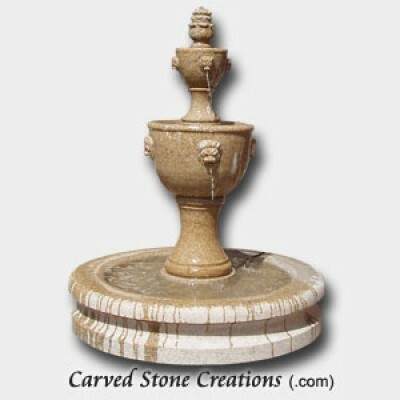 Urn fountains normally take up less room than a classic tiered fountain. The water in an urn style fountain shoots out from the top and pours over the sides of the urn, into a basin at the bottom of the fountain. 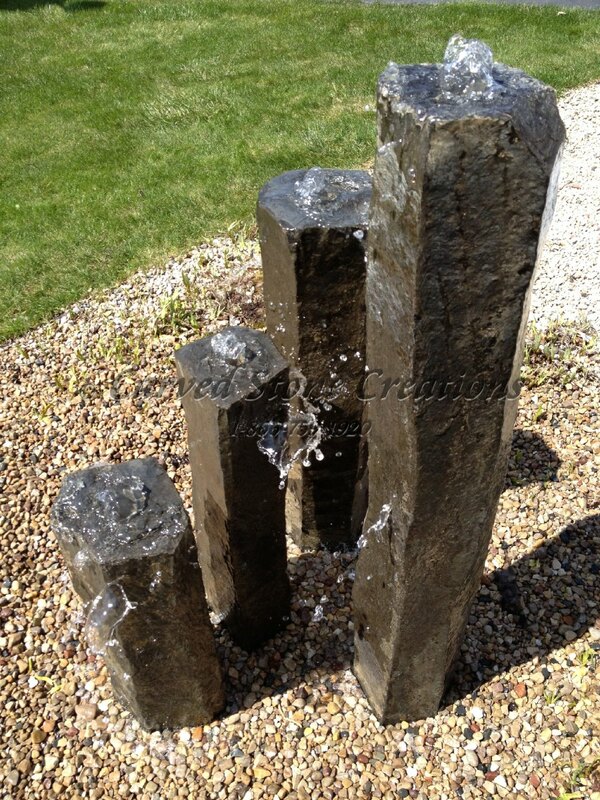 Even though these fountains take up less space, they will still create a statement in your backyard. View other urn fountain designs here. If you have a wall in your backyard garden, or would like a focal point on the outside wall of your house, consider a wall fountain. 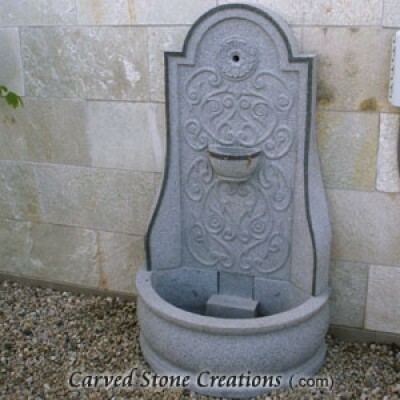 Wall fountains usually sit flush against a flat surface and pour water into a basin. They are perfect for accenting a typically forgotten area of your backyard. Learn more about this fountain here. Bubbling fountains do just that, gently bubble water over a surface. Bubbling fountains create a relaxing sound of gargling water, perfect for a peaceful atmosphere. They are typically smaller in size and are the ideal enhancement to a smaller backyard. Modern styled fountains typically have cleaner lines and are less ornate than a classic styled fountain. They feature geometric shapes and take on a simplistic shape, perfect for a home with modern architecture. If you are interested in learning more about these types of backyard fountains, click here.